Arthur returns with a celebratory 50th episode of his sitcom. The former variety star is understudy on a Christmas production of Bedknobs and Broomsticks. Will he get on stage? Arthur returns to BBC Radio 4 with a celebratory 50th episode of his long running sitcom. The former variety star is understudy on a Christmas production of Bedknobs and Broomsticks. Will he ever get on stage? Steve Delaney stars as Count Arthur, supported by a host of regular characters created by Mel Giedroyc, Terry Kilkelly, Alastair Kerr and Dave Mounfield. The 50 episodes of Count Arthur Strong’s Radio Show! comprise seven series and eight specials since the programme first aired in December 2005. Highlights include winning the Sony Radio Award for Best Comedy in 2009 and being voted as the Best Radio Sitcom by the British Comedy Guide in 2016. The long running radio series aired until 2012 when the character stepped on to BBC TV for three series of the BAFTA nominated and critically acclaimed TV sitcom Count Arthur Strong. Since then, Count Arthur has returned to BBC Radio 4 annually with his celebrated Christmas specials. 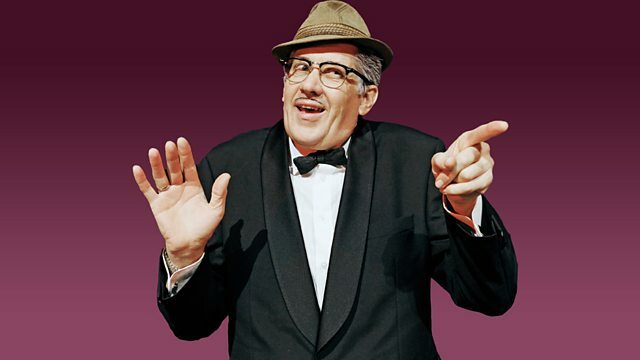 See all episodes from Count Arthur Strong's Radio Show!